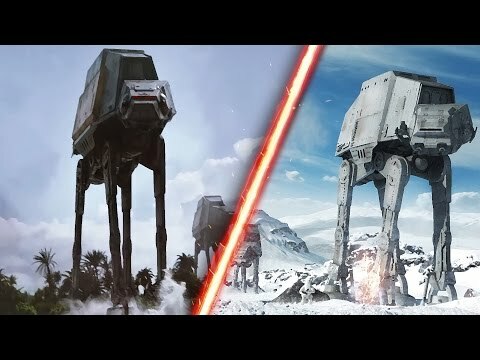 Fans of the Star Wars Battlefront will be happy to hear that the expansion for the game is Rogue One based. Rogue One the movie is set before the original star wars film and tells the tale of a group of rebels that have the job of stealing the plans for the death star. Scarif is the tropical planet seen in the trailers for the movie, there’s all so be two new hero characters in the game, Jyn Erso and Orson Krennic. While we are talking Star Wars and Rogue One, check out how one fan (UMadBroYolo) has created the Rogue One Trailer using the Battlefront game. Everyday we create 2.5 Billion gigabytes of data, from our last purchase online to our likes on social media platforms. The dangers of "Big Data" and predictive algorithms are themes that are at the very heart of the brilliant video game series from Ubisoft called Watch Dogs. The team behind the release of Watch Dogs 2 have a fantastic site you can visit that predicts your future based on your online habits. It is scary how good this is and it features some bizarre predictions including your height and weight, life expectancy, relationships, salary predictions and even the percentage chance you will be involved in a homicide. I'm happy to say I'll still be alive til 85! To go even further Vice has released "User Profiled", a series of documentary videos that Ubisoft have sponsored with an end goal of education and giving a more in-depth look at the dangers of big data in todays society. I found them extremely interesting so I'm sharing them here with you today. I’m really worried about Titanfall 2. Not because the game is bad, it's actually brilliant. I’m worried because it’s been released at the wrong time and could suffer in sales and therefore lack of players because of it. The game is an amazing improvement on everything that the original Titanfall gave us. The movement is fluid, the weapons are brilliantly balanced and all have amazing special effects and the addition of further customization is a real game changer. The first game lacked a campaign mode and so it was hard to immerse yourself in the world of titanfall, the developers had added one to the second game and it's one of the best part of the game. But because it's been released at the same time as other massive shooters like Battlefield and Call of Duty, I’m worried that the numbers just wont be there to get a decent run of multiplayer games going. Bad call on release date guys.